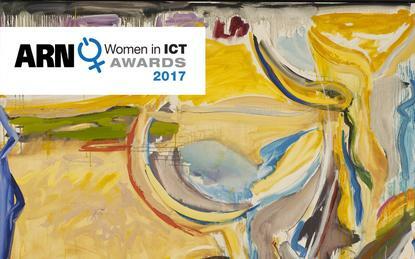 ARN is proud to announce the finalists for the 2017 ARN Women in ICT Awards (WIICTA), playing host to the most comprehensive and competitive line-up in the history of the awards. Highlighting the success of female front runners across the channel, more than 50 individuals make the final shortlist in 2017, representing more than 40 organisations. Specifically, WIICTA will honour the channel across eight categories - Achievement; Rising Star; Shining Star; Entrepreneur; Innovation; Technical; Community and Lifetime Achievement. In response to a wealth of standout submissions, three categories exceed the traditional six finalist limit, with Rising Star, Shining Star and Achievement shortlisting 10, 13 and 10 individuals respectively. The end result is the most hotly contested WIICTA since launching in 2012, acknowledging the achievements of a talented group of female leaders and innovators, who have become influential figures across the local ICT industry. Following an overwhelming response, finalist submissions were selected by a shortlist panel consisting of ARN president and publisher, Susan Searle; ARN editor James Henderson and ARN senior journalist Julia Talevski. The winners will now be selected by a selected panel of 28 industry judges, acknowledging creativity, innovation and excellence. Held on Friday 24 November at The Hilton in Sydney, the celebration lunch will host the female leaders of the ICT industry, providing a platform to celebrate channel success in Australia. ARN congratulates all finalists and thanks all organisations and individuals for taking the time to submit nominations. The Technical award recognises the candidate who has excelled in the technical and engineering segment of the ICT industry, demonstrating a proven depth of knowledge and abilities. The Entrepreneur award recognises the candidate who has achieved outstanding results in the ICT industry, an enterprising individual who has achieved success through risk-taking and proven initiative, often challenging the status quo in business in order to set up new ventures, products or new services. The Community award recognises the candidate with exemplary service to the ICT sector, through initiatives and efforts to foster positive diversity outcomes. The candidate will be actively making a difference by working towards the advancement of gender and general diversity in ICT and going above and beyond to give back to the community. The Rising Star award recognises candidates with less than 10 years in the ICT industry who demonstrate their commitment to continuous career advancement and a proven desire to reach the next level of professional development. The candidate is growing quickly in importance in the ICT field, demonstrating outstanding business acumen and professional integrity. The Shining Star award recognises candidates with more than 10 years in ICT. The successful candidate will have shown noted achievements in the ICT industry, demonstrated areas of success (either through promotion or successful project/company initiatives), and highlighted significant achievements. The Innovation award recognises the candidate who is a stand-out in delivering ‘big picture’ ideas and vision in the ICT industry, thereby responding to change and discovering unique and exciting business opportunities. The candidate will show a proven track record of finding new and better ways of doing business, continually pushing the envelope. The Lifetime Achievement award will be announced during the celebration lunch.